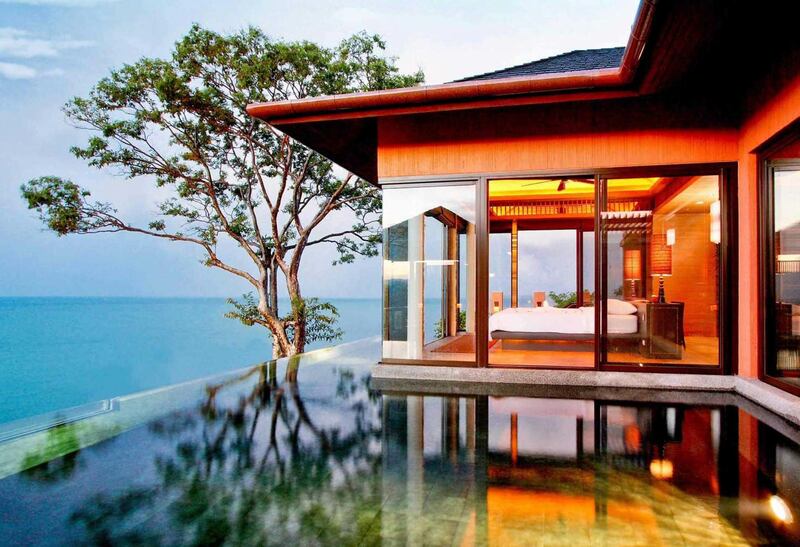 zSri panwa, a luxury hotel private pool villa & spa resort in Phuket Thailand. Perched high atop Cape Panwa and commanding breathtaking views of the Southeastern tip of Phuket, occupying the Cape Panwa peninsula in its entirety, the ultimate in luxury vacation accommodation on Phuket Island. Sri panwa is a mixed development offering one to two bedroom Pool Villas and three to five bedroom Villas for Sale. Scattered within 40 acres of lush, tropical surroundings and offering accommodation of the highest quality, maximum privacy and superior service.